You are here: Home / Healthy Homemade Recipes / Make Your Own Makeup With These Simple Recipes! Today we’re going to talk about how to make your own makeup at home! Something to keep in mind is that making your own makeup is a very personal process. On a normal day, I typically don’t wear any makeup, but it’s nice sometimes to get a little bit dressed up. I love using natural products and I think it’s great to make your own makeup at home! Natural products are better for your skin and when you make your own makeup you get to control exactly what ingredients are in the products you use. Now obviously I’m not a dermatologist, so I can’t guarantee that a switch to natural products will work for your skin. But it worked for me, so I’m sharing my experience with you. A couple of months ago I talked about my favorite natural makeup products and brands (you can find that article here) However, I know a lot of you are interested in making your own makeup from home, so I decided that I would share some of my favorite homemade makeup product recipes. 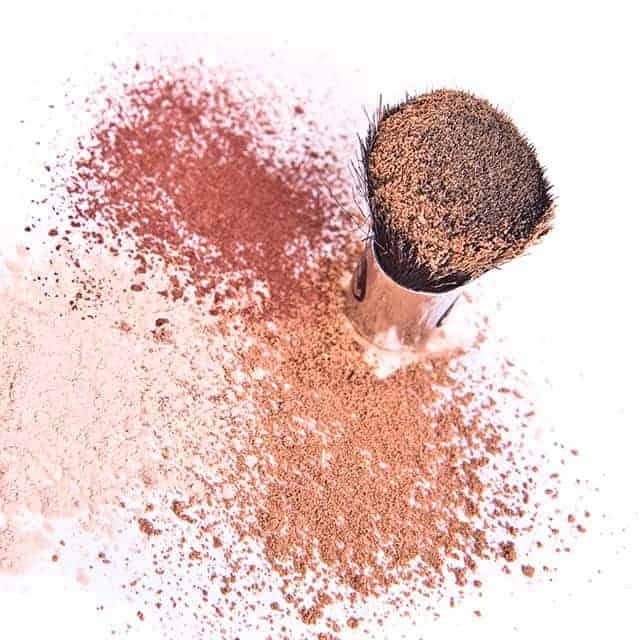 Different products will work best for different people, so use this article as a stepping stone for experimenting with making your own makeup products. You’ll have to adjust these “recipes” for your own skin tone and for your skin! Also please remember that just because something is natural doesn’t mean that you skin will love it! None of these ingredients are harmful, but that doesn’t mean you should slather it on without testing it first. I recommend that you start by making small batches of makeup and then try it in a small area of your skin like the inside of your wrist or a small area of your face to make sure you don’t have any allergies to any of the ingredients. So let’s get started! Here are some of my favorite homemade makeup recipes! Here’s how I make my own powdered foundation. Keep in mind that I can’t give you an exact measurement because this recipe will be different for every skin tone. If you have light skin, use more arrow root powder. If you have dark skin use more cocoa powder. Slowly adjust the color (add arrow root to make it lighter and cocoa powder to make it darker) until the mixture is right for your skin tone! You can then place the mixture in a small mason jar to store! Homemade blush is fun to make because you can easily adjust the color depending on your preference! All you have to do is mix the arrow root powder with the beet root powder until you reach the desired color! Simple! Store in a small mason jar! 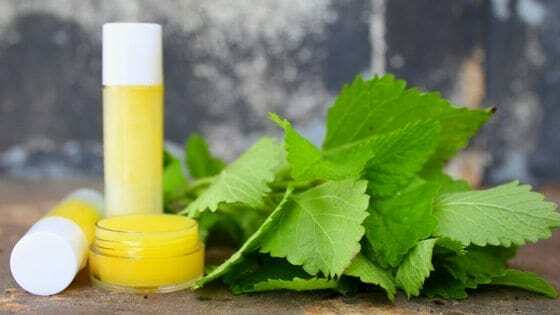 I love homemade lip balm and my favorite recipe is for lemon balm lip goo. You can use any brand of essential oils, but I’ve done a lot of research and recommend Young Living oils. First off you’ll need to infuse your lemon balm in oil if you haven’t already (Follow this link here to learn how to infuse oils with herbs). In a mason jar combine all of your ingredients. If you want to add a little bit of color to your lip balm you could try adding some beet root powder to the mixture. I’ve never tried this since I’m not a huge fan of lipstick or colored lip gloss, but just experiment with how much beet root powder you need to create your desired color! Once melted, use a funnel to pour the mixture into tubes or other lip balm containers. Allow to cool undisturbed. The lip balm should be somewhat soft and easy to apply to your skin. You can also try my pumpkin spice lip balm recipe here! Have you made your own makeup before? What is your favorite makeup product to make at home?